Some persons listed at the end of this blog, reported themselves as prominent persons and self established intellectual persons. They have shown their sensitivity on the recent atrocity incidents in India. It is a matter of common sense that India is a large and thickly populated country. When British left this country it was hardly having its share in the world trade and production. Generally it was exporting raw material and importing finished goods. Somehow or other Nehru took over the rein and he ruled with huge majority for nearly two decades. By that time India remained poor. Once in the parliament Dr. Lohia had announced “out of 50 crores of population, 40 crores persons’ daily income is less than four Annas(25 paise).” Nehruvian Congress corrected the figure while replying to the statement, that it was not 25 paise, but 27 paise. We know that it does not make any difference. But this was the outcome of Nehru’s rule of nearly two decades. During this period Nehru introduced reservation by caste. But did not take care to look as to who took the benefit. Indira Gandhi also ruled with huge majority for more than two terms inclusive of two years with autocracy. She expanded the scope of reservation to more castes. Both the Nehruvians kept this type of reservation as a permanent feature. Ambedkar was for reservation only for untouchables and that too for a limited period of 10 years. None of the Nehruvian cared to see as to how the reservation functions. i.e. Who are getting benefitted all the time, and who are deprived of the reservation despite of being Dalit? NEHRUVIANS WANTED THE RESERVATION SHOULD WORK LIKE THAT ONLY. i.e. Those lower caste families who have improved their status would continuously take the benefit of reservation. These beneficiaries were their own people and they were to keep hold on vote-bank to misguide their own people. Nehruvian Congress was fond of creating this situation which was most favourable for them under “Vote Bank Politics”. A State Governor’s son/daughter was entitled for reservation but a poor Dalit with little less percentage to the son/daughter of a Dalit caste Governor was miss the reservation. This policy of Nehruvian Congress still works with minor correction. To identify a person by its caste had created heavy class conflict during Nehruvian Congress rule since 1970 when Indira Gandhi float “Garibi Hatao”. Indira Gandhi deep rooted the Caste-ism in 1971. In nineteen eighties and nineties there were riots also. During Nehruvian Congress rule they instigated the riots so that the hatred get expanded and become very deep rooted. This was the culture Nehruvian Congress. Just like a devil blood drop, dynastic cultural parties took birth due to the success and victories of Nehruvian Congress under vote bank politics. Now let us come to the point about the sensitivity of these elite persons of the list, who wrote a letter to the Prime Minister indicating their great concern on atrocity on Dalits and Muslims. Yes. Now the gang has added Dalits. Previously the gang used to talk of Muslims-Christian mix. The idea behind the adding Dalits is to keep them away from rest of Hindus. Because Dalits are still poor and less literate and thereby they can be mislead very easily. These persons are termed as “academics”. “Academics” is a quite confusing term. Similarly the same is with “learned”, “Educated”. Literally an Academic means a studious or an expert in a field who is much more than a learned. Learned means it is simply holding some certificates, just like our Man Mohan Singh who was committed to Nehruvians’ instructions. A person has to be qualified to opine on an event. He/she is supposed to be “Educated person”. “Educated person” is that person who has understood the issue and he/she has the capacity and expertise to solve the issue. “Conflict between or among communities” is a social issue. After all, every issue barring “science and technology”, all are the social issues. Social workers supposed to be sensitive on social issue without discrimination. A SOCIAL ACADEMIC IS SUPPOSED TO BE A SOCIAL SCIENTIST. A Social scientist must know the historical back ground of an issue at hand. A social scientist must have the sense of proportion and the sense of comparability. The social scientist is not supposed to play a “Blame Game”. The social science is also a science. A scientist is not supposed to play a Blame Game. But suppose a social scientist wants to show his research work and want to submit the REPORT then what should be done? It appears from the letter addressed to the Prime Minister, these self recognized academics have jointly signed the letter. They do not have sense of proportion and they have not gone through deeply into the issue. An Academic must be studious. But here they have not studied the issue. (1) JL Nehru had kept the Indo-China boarder knowingly insecure all the time. This was a big factor for India’s quick defeat. It causes a CAKE WALK VICTORY FOR CHINA. Minimum 3000+ soldiers were killed, due to the folly of Nehru. To ask the security forces to sacrifice despite of prolonged military infiltration of China, was not a sensitive issue? (2) Indira’s folly/scam was the Simla pact, where the victory achieved by the Indian army was converted to total defeat.4000+ Indian soldiers were killed in that war. Was it not a sensitive issue? (3) Union Carbide defective deal belonged to Indira Gandhi. Bhopal Gas hazard was the out come.25000+ persons were died and 500000+ were injured for life time. (4) Anderson was provided with Government vehicle by Arjun Singh in association with Rajiv Gandhi to have a free pass to leave India. (5) Hundreds of Hindus’ temples were demolished in Kashmir before and after the Babri Mosq demolition. (6) In 1989-90 thousands of Hindu women were raped, tens of thousands of kashmiri Hindus were murdered and lakhs of Hindus were driven out. All these were done with the pre-planned and openly using loud speakers on Mosqs and on Jeeps, asking Hindus to adopt Islam or to runaway or be ready to get murdered. Farukh Abdullah had run away like a coward. Nehruvian Congress did nothing to establish human rights of Hindus. No investigation, No FIR, No arrest, No prosecution, what to talk of punishment to the culprits? Farukh and his son were not even disqualified for elections. On the contrary their failure was rewarded by establishing them as the CM of J&K by Nehruvian Congress by extending support to them. 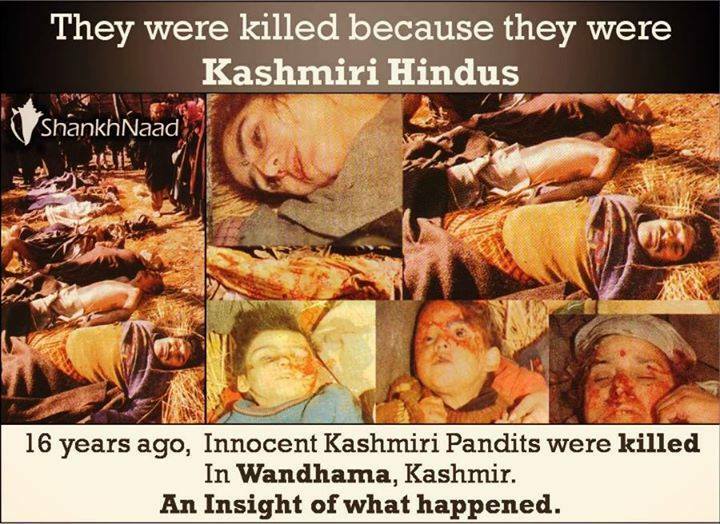 This was the unparallel breach of human and natural rights of Kashmiri Hindus in the world history, where the Muslims inclusive of locals and Muslims across the boarder jointly executed butchery, under the willful inactions and negligence of local political Muslim leaders and the Nehruvian Congress leaders. What sensitivity by these signatories had been shown? (7) Even after this also, several carnage took place where Hindus were identified, driven out of buses and straight way shoot to death. Had these signatories shown any sensitivity? (8) Please note that, in Kashmir, or in Kerana or elsewhere no Muslim was killed. Hindus were only killed. (9) Besides this terrorists attack by Muslims of cross border with and without association of local Muslims, during Nehruvian Congress party rule, was maximum. It was a total failure of Nehruvian Congress government’s intelligence services, or the Nehruvian Congress in association with their cultural allies made the intelligence service ineffective or the same has been ignored willfully. When the defense top officers had complained that the defense have no spare parts, what to talk of services. On these terrorists attack, the Nehruvian Congress government was a total failure. Had these signatories written a letter to the then Prime Minister? (10) To talk about riots of 2002, is a fashion of some gangs so called intellectuals. But they never link the riots with the blazing of Sabarmati Express Coach C-6, at Godhra Railway station under a pre-planned conspiracy of a local district head of Nehruvian Congressman. Victims were 59 Hindus because they were Hindus and returning from Ayodhya. In the post Godhra riots, both the communities had suffered. Hindus were also killed and Muslims were also killed. In the police firing of that Modi Government, Hindus were killed much more. Otherwise also Hindus were killed in unaccounted stabbing organized by the Muslims community, which was continued round the year. (11) Before Bombay Blast attack, the Government of India had issued instructions to costal security guards, to inspect the ships in the Arabian sea leniently. This was under the pressure of an allied party’s top leader, of Nehruvian Congress. This gave a smooth way for the terrorists of Bombay blast, to enter India through western sea coast. (12) During Nehruvian Congress lead Government, there was a common feature of having terrorists’ attacks. Had these signatories exhibited their concern? All these indicate, that this lot of signatories is not educated. This lot has acted under Nehruvian Congress and its culturally allied parties’ political agenda. If this is not correct then they must be fool or childish. THE CONTENTS OF THIS LIST. Bengalis are 53 and they are 14 in Calcutta. Can CPIM & TMC & Nehruvian Congress not manage to get signed this much ? Persons belonged to Kerala, Chennai, Hyderabad and Bangalore is 26. Can CPIM and Nehruvian Congress no manage this much? Christians are 13.and Muslims are 11. Most of them are against NaMo. They can manage easily. Persons studying or serving in Foreign Universities are 70. They party with above lot. Otherwise also they are prone to mislead. In Gujarat the persons from IIM and SEPT of Ahmedabad are 5. 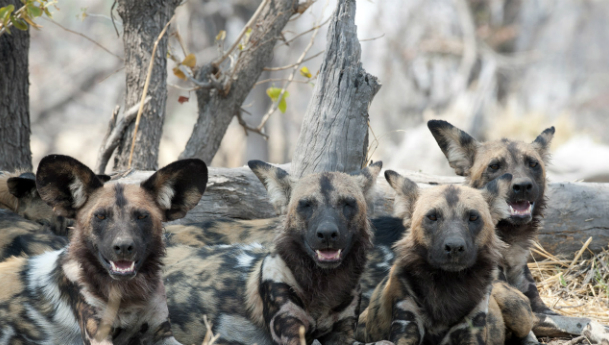 Among these five, three are female and 2 are male. All these five are non-Gujaratis. They failed to find a single Gujarati to sign. How marvelous? If you count like this; take Bengalis, Hyderabadis, Bengaloris and Chennait including those studying serving in foreign countries, and then add Christians and Muslims plus JNU and Ramjas Delhi and Delhi University you have a clear cut picture of the conspiracy. There is no intellectual lot in Maharashtra, Gujarat, Rajasthan, MP…. Etc… of rest of India. They could have found some people for the name sake from these states. But who will work so hard. Thereby this gang has obtained signatures from their own contacts. Yellow journalism gives them out of proportion coverage, instead of scrutinizing the matter. Yellow journalism of India is very well lacking from investigative approach. Yellow journalism is always concentrating how to construct the matter with emotional sentences. In one case they had given 40 crores to distribute among media to not make noise against a deal in UPA government. One Odd man Sudhir Chandra is detailed as Historian . Vinita Chandra from Ramjas College must be knowing him. Another odd man a Chinese female Ying Chen working in USA has signed. Ms Kiran Asher might be knowing her. We can do some more research, but it would be useless once fact is established. Many of these so called educated persons might be carrying an impression that why had they kept mum on greater evil acts took place during Nehruvian Congress rule (as narrated above) on an excuse that they were walking with perambulator. If it is really like that, then also they are not pardonable. Because many of those issues are alive on date. E.g. The Kashmiri Hindus are not re-established in their home. Still they are refugees. Besides this, when Narendra Modi lead government taking action to re-establish them, then the local Muslim leaders start agitating against re-establishment activities on flimsy and un-sustainable ground of demography. The same people did not react when the Hindus were being driven out. Why? If you can drive out a community then also demography gets changed. 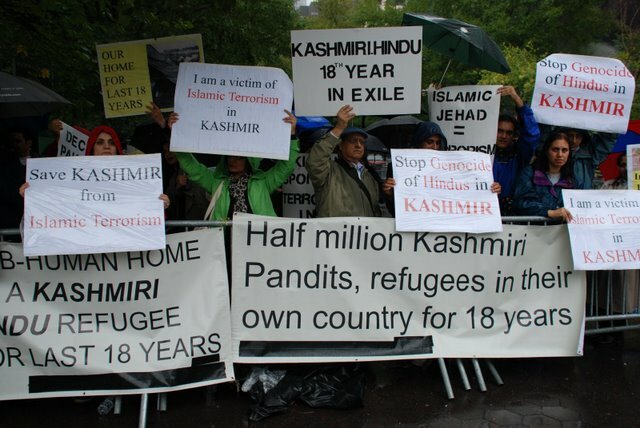 Why did you not agitate to secure the human rights of Kashmiri Hindus? None of these elite signatories has made any noise when atrocity cases took place during Nehruvian Congress Government. These cases were of the order of 40000 every year? In fact these signatories and their sponsoring political gang is enjoying the atrocity on Dalits. The caste-ism is not supported by any Hindu scripture and the caste-ism though ready to die, but the Nehruvian Congress party lead gang, wants the caste-ism should prevail for secure their vote bank. It is a weak part of Hinduism so far it is survived. However the elites of Indian society are trying to uplift Dalits and trying to bring them in main stream. The Nehruvian Congress openly dividing the nation based on not only Caste, but also based on Religion, Region and Language …. The divisive culture of Nehruvian Congress lead gang is known to wise people of India very well. That is why the said gang is trying for survival at any cost to the nation. The gang is spreading and floating false, twisted, misinterpreted issues and news to create a negative atmosphere for the Narendra Modi lead government. People have identified the gang. NARENDRA MODI GOVERNMENT IS THE ALL TIME THE BEST GOVERNMENT. THESE ARE THE SLOGAN OF NARENDRA MODI GOVERNMENT. These fellow signatories and their sponsored parties and some sick media would be ashamed of their deed, when they will find the developed India by 2014 under the government lead by Narendra Modi. Odd persons : Do you know the history of the back ground? You must know that India is changing very fast under the leadership of Narendra Modi. There are gangs who possess political agenda to capture power at any cost to the nation. Better do not poke your knows where you are not educated. Just to create fake controversies, and to divert the attention of the public from the achievements of BJP Government lead by Narendra Modi the pseudo seculars are making noise. During this short period of 18 months the BJP government has gained a lot of prestige abroad. It has made remarkable changes on foreign policies and local governance. Due to this reason the Anti-BJP leaders have become terribly upset. They feel politically insecure. However during the last Bihar Assembly election they could realize that the hope to remain politically alive has not become zero. They have gained a confidence that they can manufacture even fake controversies and can very well create a negative atmosphere for BJP and Narendra Modi. It is a matter of research as to how the middle level BJP leaders have not prepared themselves to hit back the controversy manufacturers. Let us read the records of Nehruvians, as to how much had they tolerated opposite views and given respect to human rights !! (1) 1946-47 None of the provincial Congress Committee had proposed the name of JL Nehru for the post of PM. Despite of this, JL Nehru did not withdraw his candidature. This matter was brought to his notice by Mahatma Gandhi. To avoid partition of Congress party, MK Gandhi had to take assurance from Sardar Patel that he would keep the Congress intact and he would not claim for the PM post. (2) 1947-50 Nehru did not respect the advice of Sardar Patel on foreign policy with China. (3) 1948 Nehru had abused Sardar Patel on his action on the matter of Hyderabad issue. (4) 1948 Nehru did not like to respect democratic procedure of taking a decision only after discussing the matter in Cabinet. He took the issue of Kashmir with UNO, without discussing it with his cabinet. (5) 1952-1962 Nehru never respected the oppositions’ point raised in the parliament on the military infiltration of China into Indian Territory. (6) 1950s Nehru did not respect the moral aptitude on Jeep Scandal to protect his beloved VK Menan. (7) 1956-1959 Nehru did not respect the Congress working committee’s decision on Bombay State. (8) 1956 Nehru as a PM did not respect the neutrality on the dispute between two states. E.g. Maharashtra and Gujarat. (9) 1962-64 Nehru did not like to respect the qualification, seniority and genuine right of others to succeed him on the post of PM. He acted, out of way and cunningly to see that Indira Gandhi who was less qualified, less dignified, less learned, less experienced, less honest … become his successor for the post of PM. (10) 1962 Nehru had no respect towards parliament and towards his own oath. He had taken an oath before the parliament that he would not take any rest till he recapture the lost land of India to China. His oath was simply a fraud. (1) 1956-1964 Nehru was highly intolerant towards his competitors. 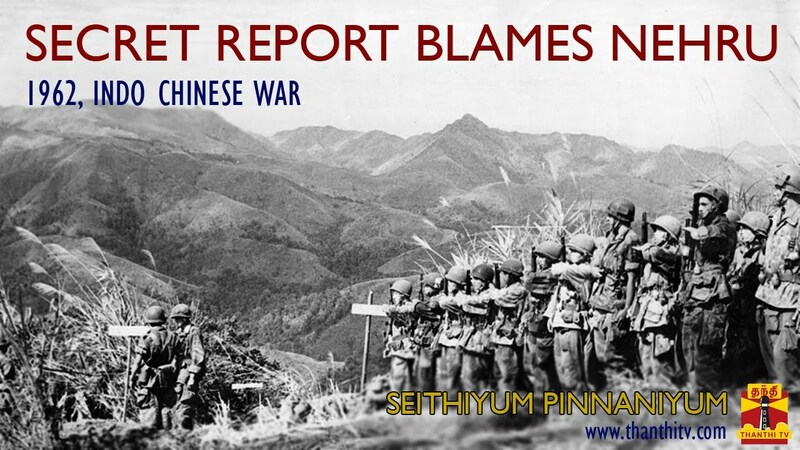 Due to stupid foreign policy and stupid defense policy of JL Nehru, China could achieve a cake walk victory over India. China captured 91000 square miles of Indian land. Nehru was solely responsible for the defeat of India. In respect of his failure and to owe the moral responsibility JL Nehru was supposed to resign. JL Nehru had not own his moral responsibility. Contrary to this when he noticed that Morarji Desai is trying to become his competitor for the post of PM, Nehru could not tolerate Morarji Desai. JL Nehru removed him from his Cabinet. (1) 1968 she had no respect towards party’s constitutional procedure. The working committee of her party had approved and recommended the candidature of Sanjiv Reddy for Presidential election. (2) 1968 she had no respect to her own oath. She signed the candidature form of presidential election in 1969, she made campaign for the opposite to party’s candidate. (3) 1968 she had no respect for the dignity of her own colleagues. As an understanding with the working committee, Morarji Desai had to be absorbed in Cabinet. But without consulting the party president Indira Gandhi removed Morarji Desai from her cabinet. (4) 1968 She had no respect towards moral values in politics. There were lot of allegations on her doubtful integrity. But she did not resign. (5) 1975 She had no respect towards verdicts given by court of law. She ignored the verdict of HC on her disqualification. (6) 1975-1977 She had no respect towards constitutional provisions, human values and democratic rights of others. She imposed emergency and suspended even natural rights of citizens. Her governments representative told on oath before the court of law that during emergency, government can even kill a person at government’s will. (7) 1972-75 she had no respect towards truth. When she was making statements before the Allahabad High Court on a case against her unfair practice in election and abuse of power, she told 14 lies on oath before the court. (8) 1975-1976 She had no respect towards humanity. She had put 60000+ citizens behind the bars even without existence of any offence. (8.1) 1972 She had nullified the victory achieved through the sacrifice of Indian soldiers and people of India. She, under Simla pact, handed over even the land of POK (Pakistan Occupied Kashmir) to Bhtto. This land was captured by India in the Pak-India war . (8.2) 1972 She had disrespect towards her own promise of executing a packing deal with Pakistan to resolve all the issues with Pakistan. She had very good and full scope to execute “The Package Deal” with Pakistan. She willfully ignored it. (8.3) 1972 Indira Gandhi disrespected even the constitution. To hand over a part of India, to the enemy or to any of the other countries, is against the constitution. That is our Indian cnstitutioin does not permit such transaction of land. POK is a part of India as per Indian Constitution, one cannot hand over a part of India to any other country even with an affirmation of the total MPs. To do like this India has to form a new constitution committee and a new parliament. (8.4) 1980-83 Indira had disrespect towards the nation. She had joined hand with Bhinderanwale. She had supported terrorism and naxalite movement. (9.1) 1968-1984 Indira had no respect towards her own words and oaths. She had promised to send back the 10000000+ (more than one crore), Bangladeshi infiltrators. But she did nothing. Her oath was simply a fraud. (9.2) 1967-1984 Indira had no respect for truth. She floated a lot of fraudulent rumors to misguide mass with the help of her government owned media. (1) 1968-69 Indira Gandhi had no tolerance to accept the candidature of a person (Sanjiv Reddy), proposed by the working committee of her own party. Resultantly she put up her own candidate viz. VV Giri for presidential election in 1969. (2) 1972 Indira Gandhi had no tolerance to accept the leader elected by the state legislature party members for the post of CM. Indira always asking to accept a person of her own choice. Viz. 1972 Gujarat Assembly members had proposed Chimanbhai Patel with majority, as CM. But Indira Gandhi rejected him and imposed Ghanshyambhai Oza, who was not even an elected member of the assembly. (3) 1972-1984 Indira Gandhi had no tolerance even if a leader of her own party, if he takes credit of his good work and good achievement. She can tolerate a leader only and only even if he/she gives credit to herself (Indira Gandhi), what had been achieved. E.g. VP Singh, Hemvatinandan Bahuguna and many others were removed by her from her cabinet for this reason only. (4.1) 1968-77 Indira Gandhi had no tolerance to opposite view and opposite voice. She abused even veteran Gandhians like Jai Prakash Narain. (4.2) 1975-1977 Indira had no tolerance to opposite voice and therefore she had imposed emergency for indefinite period. (4.3) 1975-1977 Indira had no tolerance to opposite voice and Indira put 60000+ persons behind the bar for indefinite period. (4.4) 1975-1977 Indira had no tolerance to opposite voice and Indira impose censorship on private media too, to suppress them by force. (4.6) 1975-1977 Indira had no tolerance to opposite voice and she asked every type of associations, to pass a resolution in its meeting, that the association had supported emergency. (4.7) 1978 Indira had no tolerance to remain without political power. She instigated Charan Sing to topple democratically elected government of Morarji Desai. She supported Charan Sing and then she betrayed him. (1) 1984 Rajiv Gandhi had no respect towards democratic procedure. He, without looking into the propriety of the President invitation to take an oath as the PM, he took the oath, without the resolution of the working committee and the cabinet of the party and the government respectively. In fact he should have refused to take the oath in absence of such resolutions. (2.1) 1984-1989 Rajiv Gandhi had no respect for the human rights. He avoided action against his party lead carnage on Sikhs. (2.2) 1984 Rajiv Gandhi had no respect for human rights and humanity. He gave a smooth passage to Anderson to runaway safely from India. Anderson was the culprit of Bhopal Gas Hazard. (3) 1984-89 Rajiv Gandhi had no respect for morality. He was involved in Boffors scam. He had written and forwarded an instruction chit through Madhav Singh Solanki a minister of his cabinet, to Swiss Government to go very slow on the matter of investigation related with Boffor Kickback. (4) 1986-1988 Rajiv Gandhi had no respect towards nation. 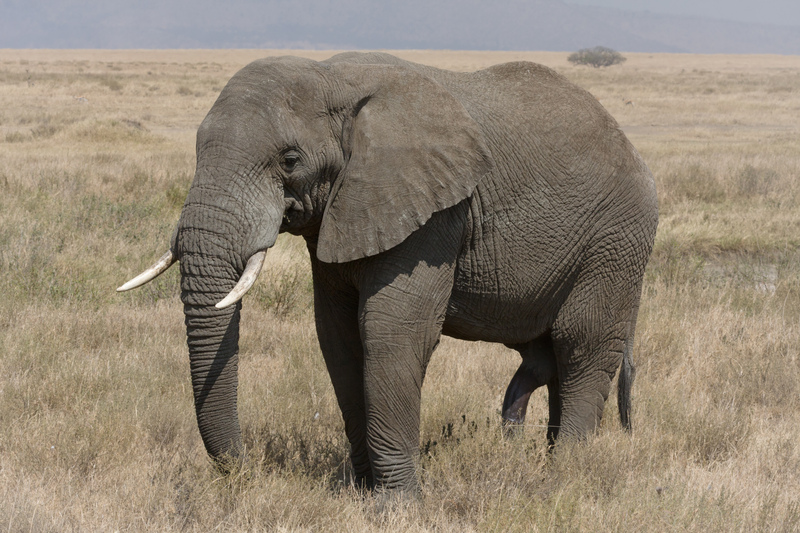 He gave a smooth passage to Ottavio Quatrochie to run away safely from India. (1)The GANG does not like to respect anybody else as “Number One” in the party. Sitaram Kesri was manually lifted and driven out from the seat of the Congi-President. (1.1) The GANG does not respect the personality of opposite party. (1.3) The GANG does not respect the constitutional provisions. The GANG paralyses the functioning of the parliament. (1.4) The GANG does not respect the very purpose of the parliament which is to discuss the matters and exchange the views to arrive to a decision. (1.5) The GANG disrespects the natural right of opposite party (BJP leaders) to present their side on the floor of the parliament on the allegations made by the GANG. (2) The GANG disrespects BJP leaders. (3) The GANG does not have tolerance to any opposite view to Congi’s governance. (3.2) The GANG could not tolerate Baba Ramdev’s agitation. Baba Ramdev was also abused and manhandled. A lot fraudulent allegations were made on him. Congi had executed investigations too, but found nothing against Ramdev. Despite of this, Congi never thought of submitting apology. (3.4) The GANG had no tolerance to the functioning of the opposite party. The GANG is in habit to manufacture fake controversies. (4.1) The GANG willfully neglected the human rights of Hindus in Kashmir, North East and some pockets of South India. (4.2) The GANG does not have respect towards the rule of law that everybody is equal before law. (4.3) The GANG has willfully discriminated the Hindus’ human rights. (4.4) Kashmiri Hindus had been threatened to be ready for the death unless they adopt Muslim religion. They were told either to adopt Muslim religion or to vacate their houses and leave Kashmir. The threat was announced through loud speakers, from Mosqs, pamphlets pasted on the doors, publications through the news paper, writing on the walls and through every means. (4.5) The Muslims of Kashmir in joint venture with the GANG, had given a dead line date in advance about the carnage they were going to execute. (4.6) The GANG had committed cognizable offences, as it kept mum, took no action, done no arrest, registered no FIR, initiated no investigation and no prosecution. (4.7) The GANG kept total non-transparency on the prolonged carnage. It was a cognizable disrespect of protection of human rights of Hindus of Kashmir. (4.8) The GANG happily watched the murders of 5000+ Hindus, and the migration of 50000000+ driven out Hindus from their houses. (4.9) The GANG paid no heed on the issue of the rehabilitation of the Hindus. These Hindus are living in substandard living condition since last 25 years. This is nothing but a continued terrorist attack sponsored by the GANG. What does this GANG want? HINDUS AND PRO-BJP INCLUSIVE OF BJP PERSONS SHOULD TOLERATE all the injustice and discrimination applied upon them inclusive of end of their lives and carnage executed by the GANG. HINDUS AND PRO-BJP INCLUSIVE OF BJP PERSONS SHOULD TOLERATE even if the GANG curtails suspends or dismisses their human rights. HINDUS AND PRO-BJP INCLUSIVE OF BJP PERSONS SHOULD TOLERATE as the GANG persons are not supposed to tolerate any thing whatsoever against them, even if the allegations are proved in Court of Law. This is because the Gang has full liberty to express inclusive of anti-national, derogative to Indian culture or whatsoever. HINDUS AND PRO-BJP INCLUSIVE OF BJP PERSONS SHOULD TOLERATE as the GANG persons are not supposed to respect any of their right inclusive of human rights or natural rights or constitutional rights whatsoever.